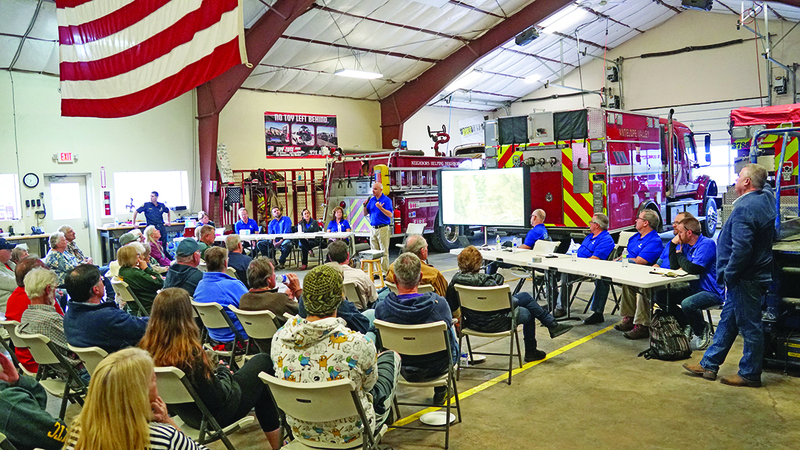 On Wednesday, April 3, the Mono County Fish and Wildlife Commission met and discussed the planned fishing regulation changes for 2020. The meeting was not as heated as the one in Bishop on March 20. The Commission does not have voting power on the regulations nor does the Mono County Board of Supervisors. The changes are coming down from the California Department of Fish and Wildlife (CDFW). They call it the “Inland Trout Angling Regulation Simplification”. Currently there are 88 fishing seasons throughout the state. The changes would reduce that number to six. There are six season types in California: open year-round, closed year-round, open the Saturday preceding Memorial Day to the last day in February, open the Saturday preceding Memorial Day through September, open October 1 through the Friday preceding Memorial Day, and open September 1 through November 30. CDFW fisheries biologist Jim Erdman brought comment forms for the public to submit. Commissioners encouraged people to submit comments, focusing on specific regulation’s effects on specific bodies of water. Leave the anger out of the submissions, they suggested. “Why is year round fishing on June Lake bad?” Erdman used as an example. She’s also concerned that opening fishing year round will increase the number of people fishing on frozen lakes. Crowley Lake Fire Department and the June Lake Fire Protection District are writing letters to CDFW about concerns for angler safety in the winter on and around streams and lakes. Mono County Fish and Wildlife Commissioner Don Morton was positive. “While there are a lot of complaints and a broad spectrum of opinions on all these fishing regs, one of the things that I’d like to point out is statewide they’re adopting regs to protect the spawning fish.” This includes spawning fish between Grant and Silver Lakes, an area Morton has been working to protect for years. Doug Rodricks, a guide at Sierra Drifters Guide Service, suggested reducing the take limit to two fish. “I think that would be a great solution for Crowley,” he said. Lisa Cutting, a Mono Basin resident, felt that the current season for lakes is favorable for this area and the regulations should stay that way. Will Clayton, owner of Jolly Kone in Bridgeport and former fishing guide, wasn’t as concerned about people on the ice. The ice anglers that he sees appear competent. He supports the year round season for the potential added income it could bring to sporting good stores in the winter. Fishmas might have to be moved because it will be catch and release on Crowley for a month longer than the current regulations. “But do we have to regulate it year-round or can we regulate it for a season,” Parker said. Wednesday, April 10 at the Colonial Heights Reading Room, 4799 Stockton Blvd., Sacramento from 6-8 p.m.
Tuesday, April 23 at the Truckee-Tahoe Airport Community Room, 10356 Truckee Airport Rd., Truckee from 6-8 p.m.
A public comment form is accessible online at https://www.wildlife.ca.gov/Fishing/Inland/Trout-Plan/Regulation-Simplification/comments.